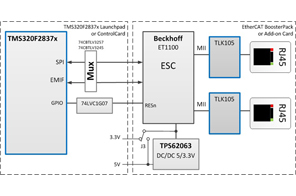 This reference design demonstrates how to connect a C2000 Delfino MCU to an EtherCAT™ ET1100 slave controller. 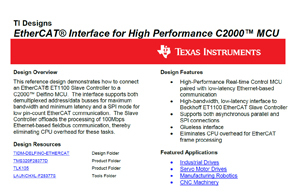 The interface supports both demultiplexed address/data busses for maximum bandwidth and minimum latency and a SPI mode for low pin-count EtherCAT communication. 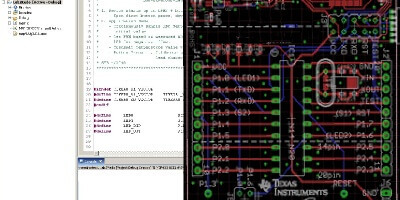 The slave controller offloads the processing of 100Mbps Ethernet-based fieldbus communication, thereby eliminating CPU overhead for these tasks.